Winner of the Shooting Industry Academy of Excellence® Handgun of the Year Award, the Ruger® LCP® delivers superior ergonomic design and handsome styling. When size and weight savings count, the LCP® is a natural for personal defense carry. 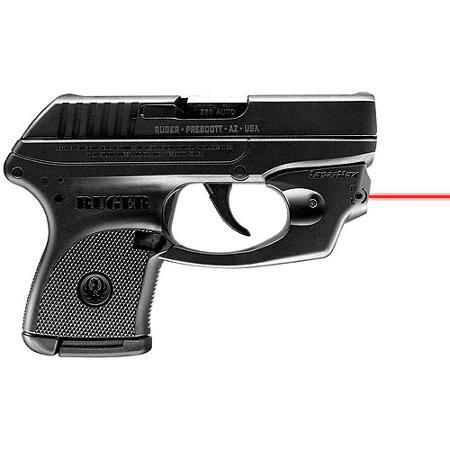 Ruger® lightweight compact pistols are compact, yet powerful. From the perfect backup firearm for law enforcement to licensed carry for personal protection, Ruger® lightweight compact pistols are the perfect choice. I consider this the best bang-for-the-buck pocket pistol. Light, small, powerful, lethal! 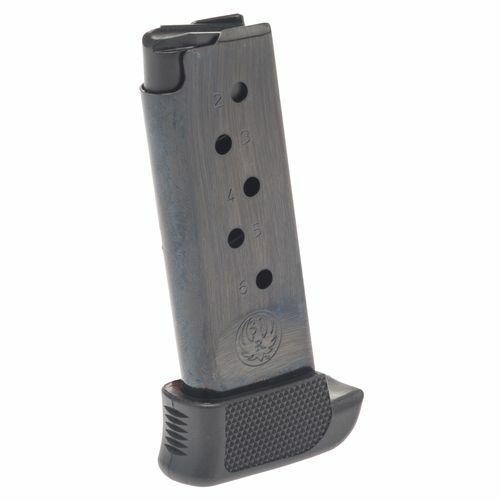 We also have the extended 7 round magazine in stock which retails for $40 on sale for $33. Ruger LCP optional 7-round magazine with extended base plate. 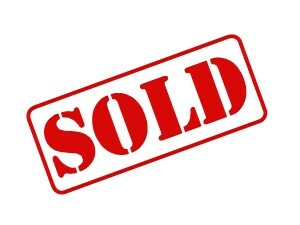 All new in the box available immediately here in Rio Rancho. We can refer you to a wonderful YouTube video that shows just how lethal a .380 ACP round can be for those who don’t think it is powerful enough. We prefer the Fiocchi Extrema which has the 90gr Hornady XTP Jacketed Hollow Point bullet. The round easily passes the FBI test by going through two layers of denim and then goes over 12″ through the ballistic gellatin. Get this awesome micro-compact conceal carry gun today! We will even sell you a box of FiocchiExtrema ammo for $15 to go with it! We also have some regular .380 ammo for sale to use when learning to shoot the gun! 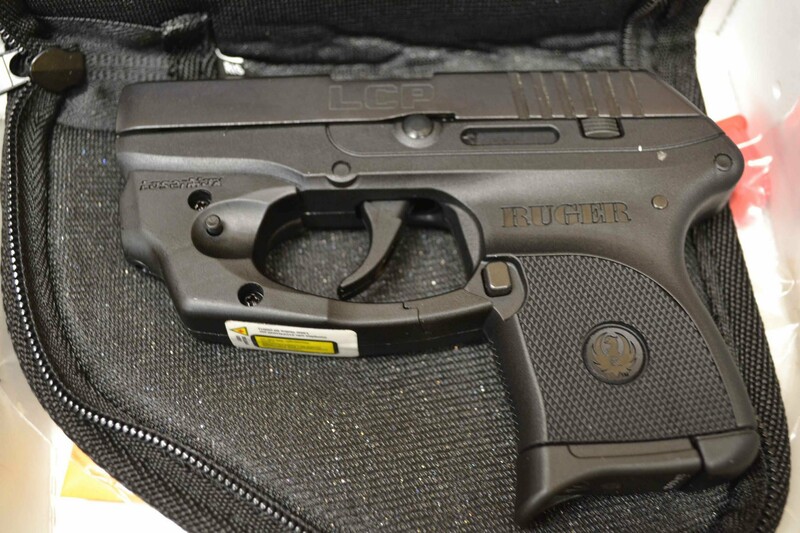 Ruger LCP with LaserMax laser and magazine extension.